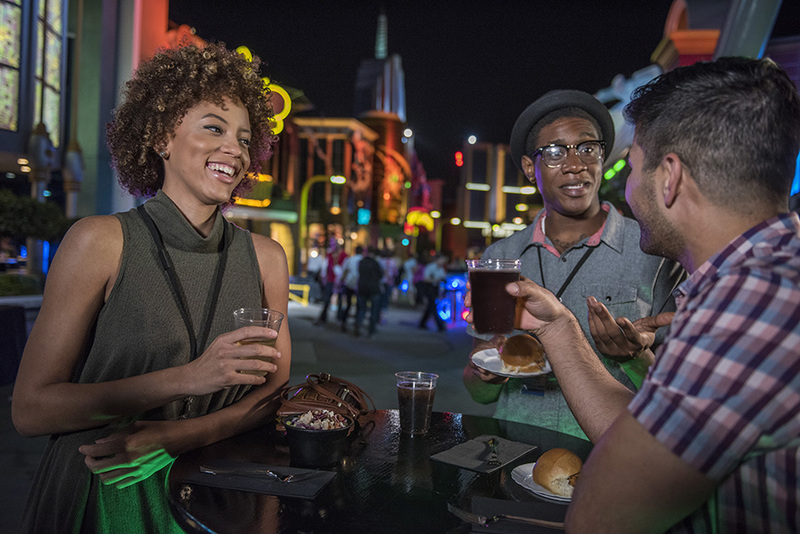 Experience Universal Orlando Resort™ after hours with unlimited delicious food and unique entertainment. Enjoy more time on the rides and less time waiting for them. 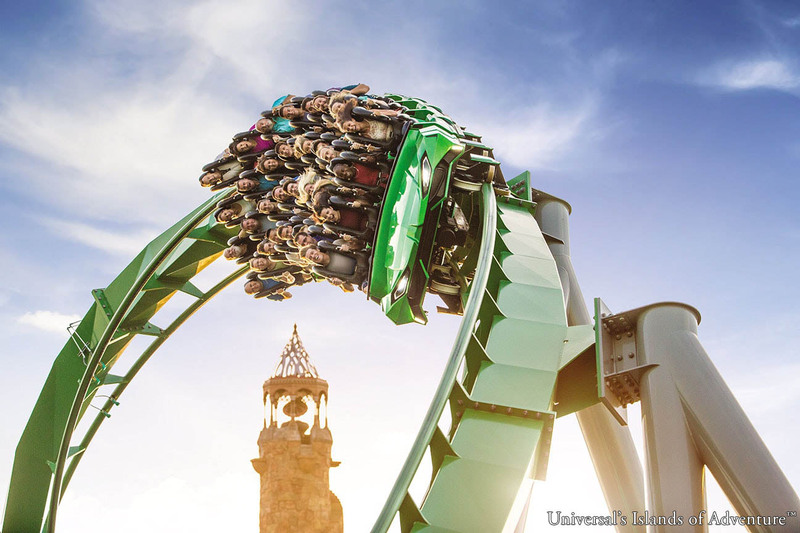 On Saturday, April 27, 2019, Orlando Informer is taking over Universal Studios Florida™ and Universal's Islands of Adventure™. From 5:00 pm to 1:30 am, you'll have access to The Wizarding World of Harry Potter™ - Hogsmeade™ & Diagon Alley™, Marvel Super Hero Island®, Jurassic Park™, and more. 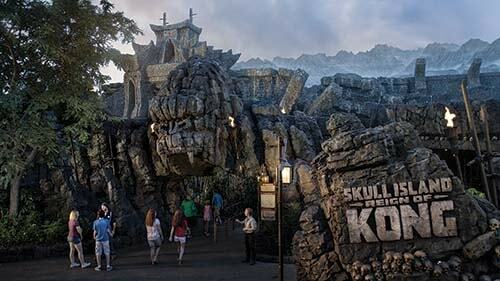 You'll have access to popular attractions, including Harry Potter and the Escape from Gringotts™, Jurassic Park River Adventure™, Revenge of the Mummy™, TRANSFORMERS: The Ride-3D, Skull Island: Reign of Kong™, E.T. Adventure™ and much more. Unlimited food and non-alcoholic beverages are included with your OI Meetup ticket. From vegetable pasta to rotisserie ribs, come find out why our guests at the June OI Meetup rated the food 4.4 out of 5 stars. 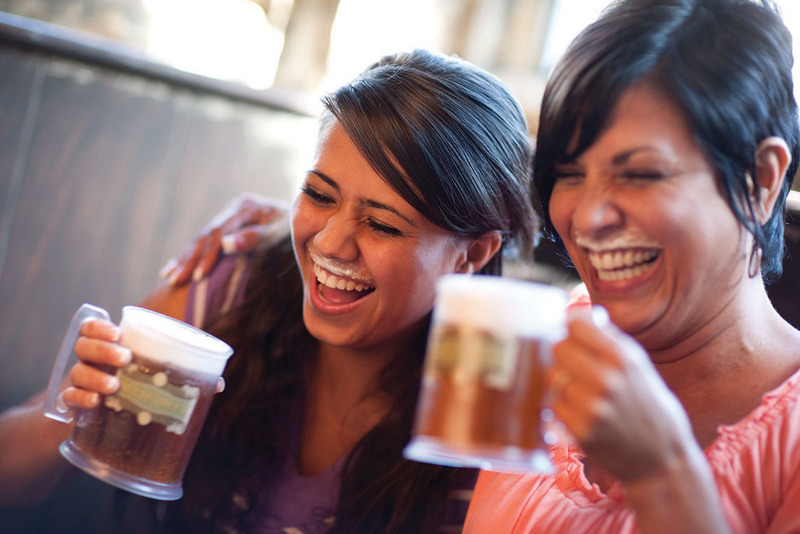 Cap off the night with unlimited delectable treats (including Butterbeer™). We're rolling out the red carpet for you at this private party. Just like our previous six Orlando Informer Meetups, we have a limited number of tickets on sale to ensure you spend more time on the rides and less time waiting for them! You'll experience the parks in an intimate, exclusive environment with unique entertainment throughout. Our Orlando Informer Meetup takes place in Orlando, Florida at Universal Orlando Resort™ on Saturday, April 27, 2019. Beginning at 5:00 pm, you'll have access to all of Universal Studios Florida™ and Universal's Islands of Adventure™. 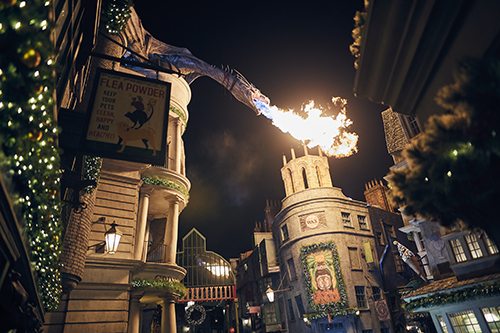 For the first time at our OI Meetup, you’ll be able to become part of an experiential story that unfolds throughout the streets of Universal Studios Florida. Through interacting with characters, you'll gain access to a password-protected speakeasy being constructed just for the evening. From 10:00 pm to 11:00 pm, guests will receive unlimited free ride-photo prints at select Islands of Adventure attractions. It’s included with your OI Meetup ticket at no additional cost – think of it as a ride photo “happy hour”! Enjoy park access beginning at 5:00 pm. The park will close to the public and exclusive access to the following attractions will begin at 7:00 pm. Enjoy park access beginning at 5:00 pm. The park will close to the public and exclusive access to the following attractions will begin at 9:00 pm. Our menu at our June Orlando Informer Meetup was the highest-rated yet. So we're not only bringing it back, but we're tweaking it to make it even better! As always, unlimited food and non-alcoholic beverages are included with your ticket. Some of the offerings will include chicken tacos, vegetable pasta, chicken and waffles, salads, turkey wraps, spaghetti and meatballs, rotisserie baby back ribs, and much more. Theme-park staples such as cheese burgers, pizza, and more will also be available. Cap off the night with delectable desserts, including warm churros, unique cupcakes, Cinnabons®, ice cream sundaes, miniature cannoli, and more. Butterbeer™, other unique non-alcoholic drinks, and ice cream from Florean Fortescue's Ice-Cream Parlour are also included in your ticket. Leaving Universal Orlando was difficult the last time, but this time it was even harder. Not only was I leaving behind what I feel like is my second home, but I was also parting from some of the greatest, funniest, most enjoyable, most genuine people I have ever met in my life – people I consider some of my best friends. I went to Orlando on a solo trip and left with an entire Orlando Informer family. It was that kind of experience. It was very much like meeting old friends. In short, everything is better at an Orlando Informer Meetup because you’re with your best friends! These people get me and my love for Universal Orlando. We always have the best time when we’re all together! I can’t imagine missing an Orlando Informer Meetup! Tickets are limited – register now! Your completed registration provides you with a night of unforgettable magic and excitement that includes over 25 attractions and all-you-care-to-enjoy food and non-alcoholic beverages, all with less waiting. PRICE: The registration fee for this event is $176, plus processing and tax. This event is limited and will sell out. By registering, you agree to our terms and conditions for the Orlando Informer Meetup. Registration is the only ticket necessary for this event; a regular theme park ticket or annual pass is not valid. We’re excited to offer attendees of the OI Meetup discounted on-site hotel stays at Universal’s Cabana Bay Beach Resort (at capacity), Loews Sapphire Falls Resort (at capacity), Loews Royal Pacific Resort (at capacity), and Hard Rock Hotel® (at capacity). Plus, you’ll receive exclusive additional perks, like complimentary upgraded internet, discounted self-parking, and much more! All hotel options are on-site at Universal Orlando Resort™ and offer a variety of convenient transportation options to the parks. Hurry! Space is extremely limited and will fill up quickly. These rates are valid for travel April 23 - May 1, 2019, subject to group room availability. For questions or to book this rate: call (866) 360-7395 and mention the Orlando Informer group rate. We're standing by to answer any questions you may have. Please review the below frequently-asked questions. If your question remains unanswered, our Orlando Informer team would be happy to assist. Is my annual pass or daytime theme-park ticket valid for this event? Do I need daytime admission in order to attend this event? Since this is a private event, daytime admission is not valid for admission – this includes any daytime park ticket or annual pass. Additionally, due to the nature of the event, we are unable to offer a discount for annual passholders. OI Meetup registration is the only ticket required for this event. If you have any additional questions about ticketing, please do not hesitate to contact us. How crowded will this OI Meetup be? We're unable to disclose the exact number of attendees, but it will be a small fraction of the number of guests in the parks during any given day – There will be little to no waits and crowds. At a previous OI Meetup, almost 60% of those surveyed indicated the Meetup was much less crowded than they expected, while less than 2% said that it was much more crowded than expected. If you have any additional questions about our OI Meetup, please do not hesitate to contact us. Is this a real event? How do I know this isn't a scam? This will be our eighth official Orlando Informer Meetup event night. We have held successful Orlando Informer Meetups in September 2015, May 2016, March 2017, two in September 2017, June 2018, and December 2018. You can see footage from some of these events in the videos on this page. You should also know that Orlando Informer Meetups and our company are not associated with any timeshares whatsoever. If you have any additional questions about the legitimacy of our OI Meetup, please do not hesitate to contact us. Children under the age of three do not require a ticket. Those three and older will need a regular OI Meetup ticket. With the Orlando Informer Meetup featuring such a varied menu, there should be items suitable for almost every diet. If you have any specific concerns, please do not hesitate to contact us. Special meals for dietary restrictions can be prepared upon advance notice, if necessary. Will the stores be open during the event? The majority of stores throughout the parks will be open with merchandise for purchase. If you have any specific questions, please do not hesitate to contact us. Your attendance and registration to this event is subject to the following terms and conditions. Orlando Informer’s goal is to have a successful and fun event, as such, we reserve the right to remove any guest from the event. Any guests who harass another person, at the sole discretion of Orlando Informer, will be removed immediately and their ticket will be revoked. Orlando Informer reserves the right to revoke guest’s ticket and admission to future events for illegal, unsafe, disruptive, discriminatory behavior, or not adhering to these terms and conditions. Valid photo I.D. required for event check-in. No refunds of any kind. Registration is non-transferable. Event may be cancelled or modified at any time. Park, attractions, food venues, or entertainment may: close due to refurbishing, capacity, weather; change operating hours; and otherwise change or be discontinued without notice and without liability. Food & beverage service will begin at 8:00 pm. Restaurants will close at midnight. Snack carts will close at 1:00 am. Times and offerings are subject to change without notice and without liability. Attraction queues will close 15-30 minutes prior to scheduled attraction closure. Select attractions will close early due to noise ordinances and maintenance requirements. TRANSFORMERS: The Ride-3D, Harry Potter and the Escape from Gringotts™, Hollywood Rip Ride Rockit™, The Incredible Hulk Coaster®, and Fast and Furious – Supercharged™ will close at 12:00 am. Hogwarts™ Express will close at 1:00 am. Some rides and attractions employ safety restraints which may not accommodate certain people due to their body shape or size. Pteranodon Flyers™ will utilize a Virtual Line™. Distribution information will be emailed prior to the OI Meetup. Guest assumes any and all risks, loss, injury, or damage occurring before, during, or after the event. Guest releases Orlando Informer, LLC, and their respective affiliates and representatives from any related claims. Guest agrees to comply with any and all regulations, policies, and rules and heed all warnings of Universal Orlando Resort™. In addition, guest agrees to adhere to instructions from Orlando Informer, LLC employees and volunteers and the staff of Universal Orlando Resort™. Alcoholic beverages and any items prohibited at Universal Orlando Resort™ are not permitted into this event. Parking is not included in registration price. © 2019 MARVEL. 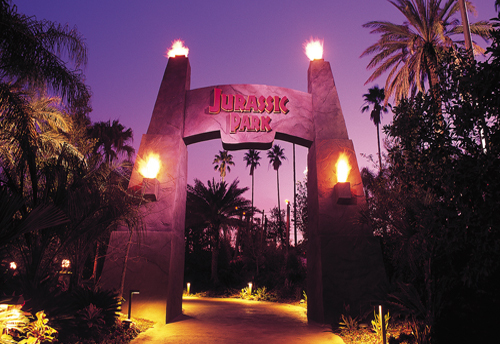 Jurassic Park, Jurassic Park River Adventure, Camp Jurassic, Jurassic Park Discovery Center TM Universal Studios/Amblin. Dr. Seuss properties TM & © 2019 Dr. Seuss Enterprises, L.P. All rights reserved. Shrek 4-D © 2019 DreamWorks Animation LLC. All Rights Reserved. TM & © 2019 NBCUniversal Media, LLC. All rights reserved. The Blues Brothers © 2019 D. Aykroyd and J. Belushi Pisano. TRANSFORMERS and its logo and all related characters are trademarks of Hasbro and are used with permission. © 2019 Hasbro. All Rights Reserved. © 2019 DreamWorks LLC and Paramount Pictures Corporation. All Rights Reserved. THE SIMPSONS RIDE TM Twentieth Century Fox Film Corporation. The Simpsons TM & © 2019 Twentieth Century Fox Film Corporation. All rights reserved. Men In Black & Alien Attack: TM & © 2019 Columbia Pictures Industries, Inc. All rights reserved. Cinnabon ® Cinnabon, Inc. Woody Woodpecker’s Nuthouse Coaster TM Walter Lantz Cabana Bay Beach Resort TM & © 2019 UCF Hotel Venture II. All rights reserved. Aventura Hotel TM & © 2019 UCF Hotel Venture IV. All rights reserved. Sapphire Falls Resort TM & © 2019 UCF Hotel Venture III. All Rights Reserved. Royal Pacific Resort TM & © 2019 UCF Hotel Venture. All rights reserved. Hard Rock Hotel ® Hard Rock Cafe International (USA), Inc. Universal elements and all related indicia TM & © 2019 Universal Studios. All rights reserved. © 2019 Orlando Informer. All rights reserved.